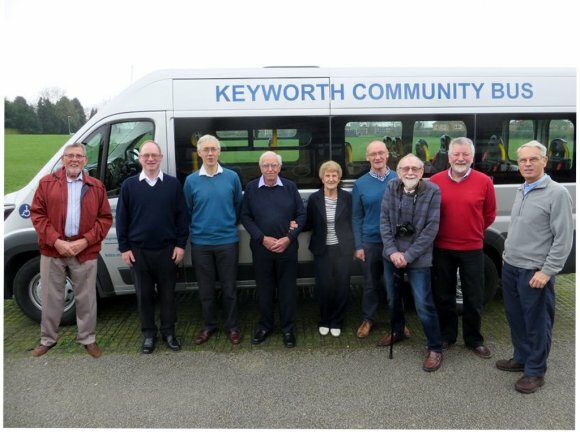 The minibuses are owned and operated by Keyworth and District Community Concern (KDCC), a Registered Charity (No: 1166637). 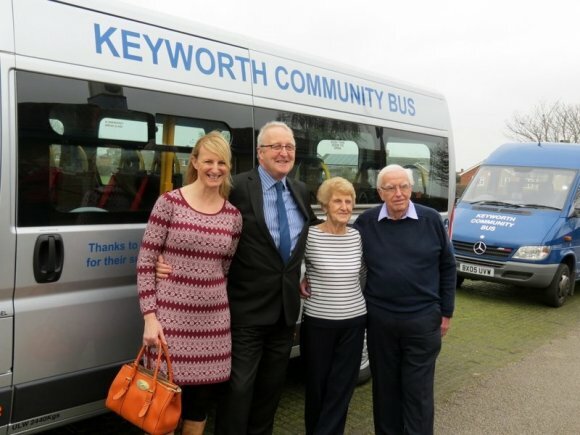 We operate under the small bus permit scheme for voluntary organisations on a non-profit basis for the benefit of Keyworth and neighbouring villages. 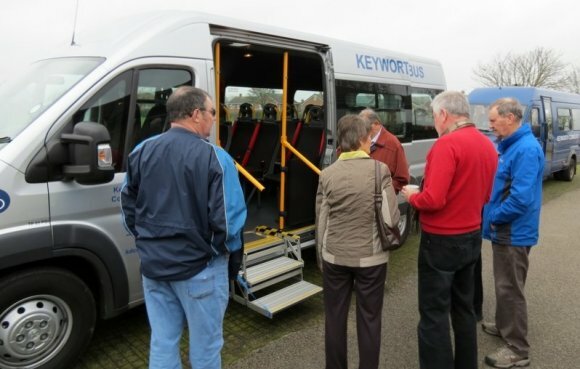 Our minibuses are fitted with tail-lifts for wheelchair access and can carry up to 16 passengers. We carry out some regular journeys each week and for these the minibus is operated by a small group of volunteers. 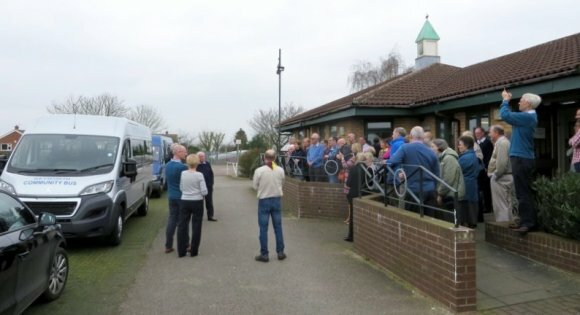 Other local groups or non-commercial associations can apply to borrow the minibus, and one condition is that we would ask them to become members of KDCC. Before being allowed to drive a KDCC minibus, drivers must successfully undertake a familiarisation and assessment session with the KDCC Bus Manager. 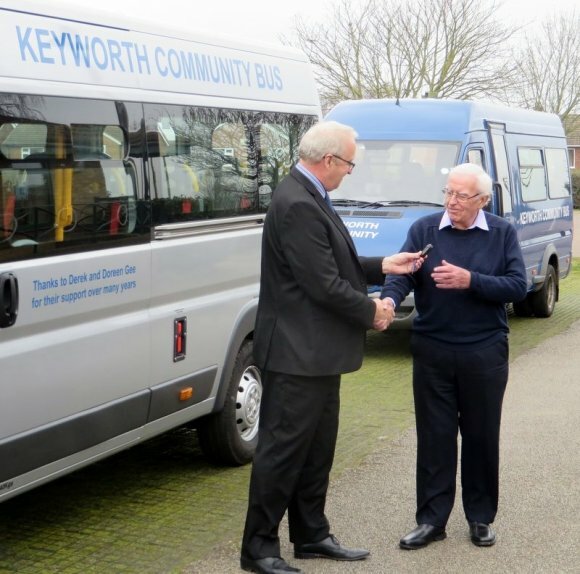 On 11th March 2017, Derek Gee MBE, newly elected Life President of Keyworth & District Community Concern after 43 years of service to the charity, officially received the keys to the new Keyworth Community Bus from Councillor John Cottee. Below are some pictures of the event which took place in and around the Centenary Lounge.